BOSTON, MA (KTRK) -- A man charged with killing a 2-year-old girl who was dubbed Baby Doe after her body washed up on a Boston Harbor island has pleaded not guilty to first-degree murder. Michael McCarthy entered the plea Monday in Suffolk Superior Court. He was ordered held without bail. Prosecutors say McCarthy killed his girlfriend's daughter, Bella Bond. 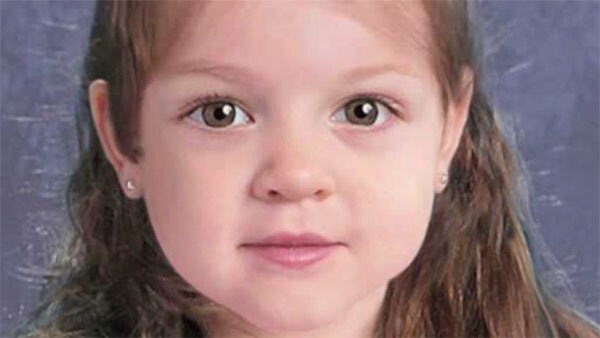 The girl was known for months as Baby Doe as detectives searched for her identity. Her mother, Rachelle Bond, is accused of helping McCarthy conceal Bella's body. She has pleaded not guilty to being an accessory after the fact to murder and is being held on $1 million bail. McCarthy's lawyer said in court Monday that the case against his client is "incredibly weak." He says: "There's no forensic evidence and no DNA evidence."